[ Qoreader Blog ]: [Photography] Told Ya! 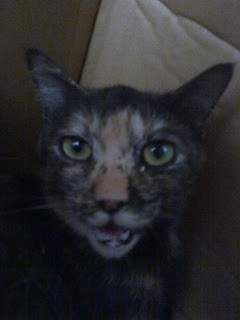 My cat just born kittens several days ago, when i tried to take her children picture, she showed unpleasant expressions, just taking her weird face and then make it one as lulcatz. Told Ya.